Speaking at a conference in Ireland, Apple co-founder Steve "Woz" Wozniak called the public anger and government scrutiny over the company's tax practices "extremely warranted." Wozniak left Apple in 1987 but remains a public figure in the technology industry. Apple's corporate tax practices were recently called into question publicly when the company's CEO Tim Cook and CFO Peter Oppenheimer gave depositions in front of a U.S. Senate committee earlier this month. The main subject of the hearing was Apple's alleged use of an Irish tax loophole which helped it avoid paying billions of dollars in taxes for the international sales of its products. 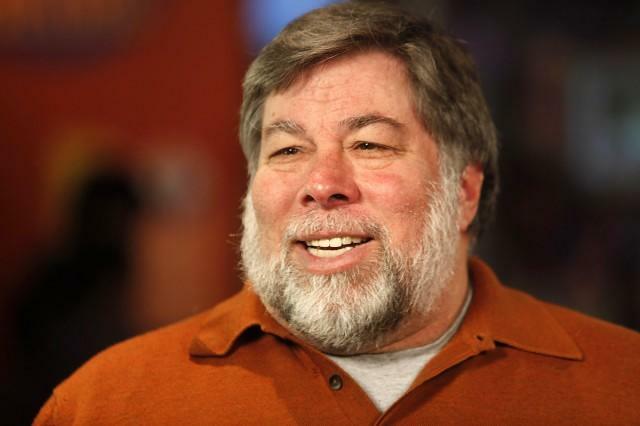 "Criticism of Apple's tax policies is extremely warranted, in my mind," Woz told the press earlier today. However, he also argued that when Apple first set the policies that are now being questioned in place, it was a much smaller company, adding that "for a corporation, there's no such thing as personal ethics." Wozniak also noted that he and Steve Jobs originally started Apple to "empower the little guy," wondering if perhaps the company's mission statement had changed in the past few decades. He stated that it's unfair corporations are able to exploit tax loopholes in ways an ordinary American could never dream of. "For example, I know some people who are, like, lawyers," he said. "They work in California, but they pretend, they make it seem like they work in Nevada, so they can avoid the high state income tax." It's unclear if this was an off-the-cuff example or a pointed criticism of Apple, which allegedly set up an almost-empty office in Nevada for exactly the same reason, according to the The New York Times. Overall, Wozniak appeared to be more focused on the unfair laws that help "the rich get richer and the poor get poorer" than on criticizing the company he helped start. Apple has similarly argued that the U.S. government should reform tax laws and close the loopholes that corporations use to avoid paying taxes, even if it means the Cupertino-based company would be forced to pay taxes itself. "A person would say, 'My life is my business and I have to pay for my home, pay for my clothes, my food and what is left over if I make a little money some year and put it in savings, that is my profit,' but people are not taxed on profit, they are taxed on income," Wozniak said, highlighting the disparity between citizens and corporations when it comes to U.S. tax code.